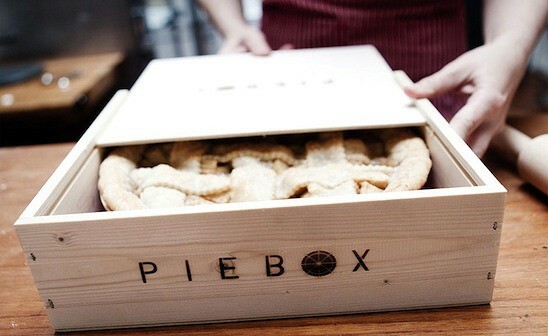 PieBox is an aesthetically pleasing, sustainable solution for carrying your precious pie. Designed with the essence of pie in mind, PieBox is meant to be simple and rustic. The natural beauty of the raw pine coupled with the local craftsmanship creates an heirloom-worthy pie carrier. 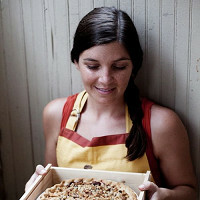 Adrienne Blumthal, the designer, told us, “As a recent pastry school grad, I found myself baking things and taking them places often, usually it was pie. I was frustrated with the existing pie carrier options: cardboard, which is flimsy and wasteful or plastic containers, which are bulky and visually unattractive. I believe that baking is an art form- preparation to presentation--and the element of transportation has to be considered, too.” Whether you are driving, biking, riding the train or even just walking, PieBox will keep your pie safe and intact. PieBox is an aesthetically pleasing, sustainable solution for carrying your precious pie. Designed with the essence of pie in mind, PieBox is meant to be simple and rustic. The natural beauty of the raw pine coupled with the local craftsmanship creates an heirloom-worthy pie carrier.